I tried different kinds of Bluetooth speaker before for any of my devices, and yet nothing beats how amazing the Mini Bluetooth Speaker Wireless, that I will be reviewing today. I was ecstatic of the features as well as what this speaker can do for me that other Bluetooth don't. It has some key functions that I don't see on the other Bluetooth speakers. · Comes with an FM mode when you press short of the play/pause button, this function really fascinates me. I don't need to use our radio just to listen to an FM station, instead I have this little Mini Bluetooth speaker with me that I can carry anytime, anywhere I go because it's very small with a loud volume. · Pairing isn't hard at all, it pairs quickly with any Bluetooth device such as mobile, Mid/TV, and any working distance within 15m. · If you paired it in your phone and someone is calling you? Absolutely can answer the call without disconnecting the device, as it has a built-in microphone for hands-free phone call. · Requires DC-5V charging slot which is mostly what other devices recommend. · When you line-in, it can play audio via aux cable to audio device too. · The functions are very simple, and easy to understand. I also love it when you turn the Bluetooth on a voice will tell you when it's ready, and oh it has a blue blinking light as well. · You'll also be reminded with the voice when the Bluetooth Speaker is low on battery and needs to be charged. When charging it will show up a red light. · I love how small the device yet, so many awesome features you can benefit, for a weight of only 210g, dimension of 80mm and with battery charge time for only 2H, what else I can say. 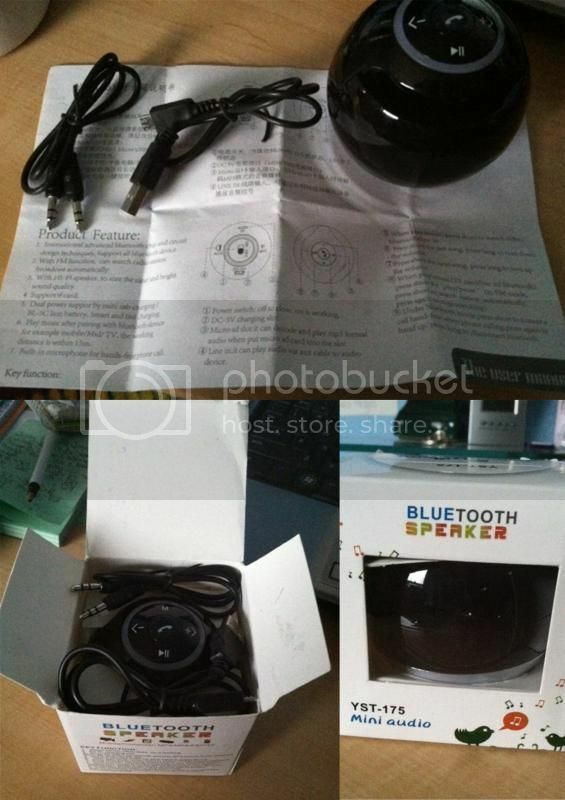 I would recommend this product to a family and friends who seeks for a nice Mini Bluetooth Speaker for their devices. Worth your money and perfect for gifts too. You can acquire your through Amazon, for only $37.97. I just love this product, and I am sure you will too.